So far, I've done only examples 2, 2a, and 2b. I'm beginning to learn Win64. And I don't know much about masm. If you can help, yes, that would be awesome! Yes, I see. That's very interesting. Some high-quality translations you have there. I re-wrote yeoh's interpretation of Tutorial #2b, but this time I use a minimalist approach, FASM-style, 64-bit - flat and fastcall. Is the output acceptable? My proposition: Do you have any intention to fully translate all your work to FASM 64-bit instead of MASM64? As you can see here, FASM is extremely flexible and in many cases, better than MASM. Btw, keep up the good work. We could use a person of your technical knowledge for Win64 development on this board. Hi Mikl___, I must confess I lost interest after reading more MASM code. It feels like I'm reading Java. As for ignoring your request, I apologize. Due to my severely retarded social skills, I usually cannot respond appropriately. I don't quite understand your point. 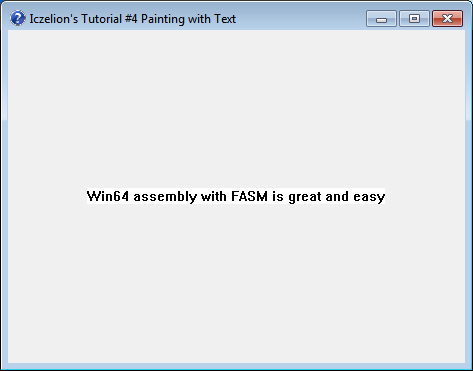 My point was that it is easier to do Windows things in FASM if compared to MASM in many ways. What is it with MASM people and their obsessions of PROC and invoke? Does MASM64 support invoke anymore? AFAIK, MASM64 even dropped .if / .endif altogether along with INVOKE, PROTO and other high-level stuff. That should at least tell you something about the direction MASM64 is taking. And the good news is, those high-level stuff are still available in FASM 64-bit. I can see you're using them a lot, although I don't quite understand why would you use invoke on 64-bit WinAPI. I could be wrong since I am not good at WinAPI programming though. But still why not use FASM instead? Why deny yourself a good opportunity of using an excellent assembler? I am not even talking about third-party macros. I was referring to how MASM is bad to the core. So altogether, plus the PROC hidden code, you're doing 3 stack setup redundancy. This is what exactly? This shows that ML/ML64 PROC cannot contain the behavior of its own local labels / variables? This is not a problem for a small code, but for a large codes, you'll find yourself using lots of @@ and "lblxx", with a very slim chance of a self-documenting source, not to mention ugly-looking source code. That's a standard call prologue. For 64-bit WinAPI which is ironically designed by MS, those are really not necessary. The purpose of FASTCALL is to avoid heavy stack frame setup in the first place in order to increase performance and less dependency on microcodes of stack programming. is the basic fastcall stack setup, which is again, ironically recommended by MS. SUB is not a stack instruction, a PUSH is. While they both move the stack, one involves only simple arithmethic (SUB), while the other one (PUSH) involves stack programming microcodes. I think most forum members here will agree with me that you should stick to FASM-only tutorials. Too bad this board don't have "agree" or "like" button, or else you know what I am talking about. 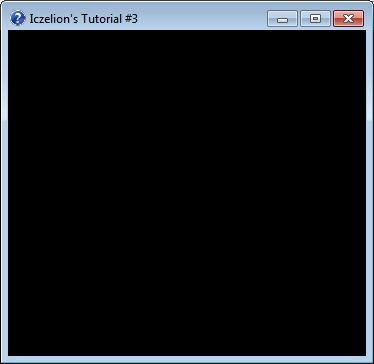 There is Iczelion's Tutorial #4 with fasmnewbie constant. for which addition with the contents of the register RSP, if the following command produces a subtraction of exactly the same value? for which a subtraction after call ExitProcess if process destroyed? for which first paramter of procedure is NULL or 0 or MB_OK code to be generated mov rcx,0 (48C7C100000000=7 bytes) and not xor ecx,ecx (31C9=2 bytes)? Then don't use them. FASM has been enjoying the freedom to NOT use any high-level statements. MASM are not so lucky and flexible. Like your recent example of stacking up PROC + LOCAL and then FRAME...ENDF! Why would you even do that? Do you have a problem with aligning the stack and shadow space? Stacking up PROC with FRAME...ENDF? Where's your common sense? What are you trying to achieve with that?